metal & rocks is the product of spending one's childhood with: obsessive tendencies, placing a higher value on finding good quartz samples in the playground gravel than friendships, general artistic ineptitude paired with geometric aptitude, and a goldsmith father. 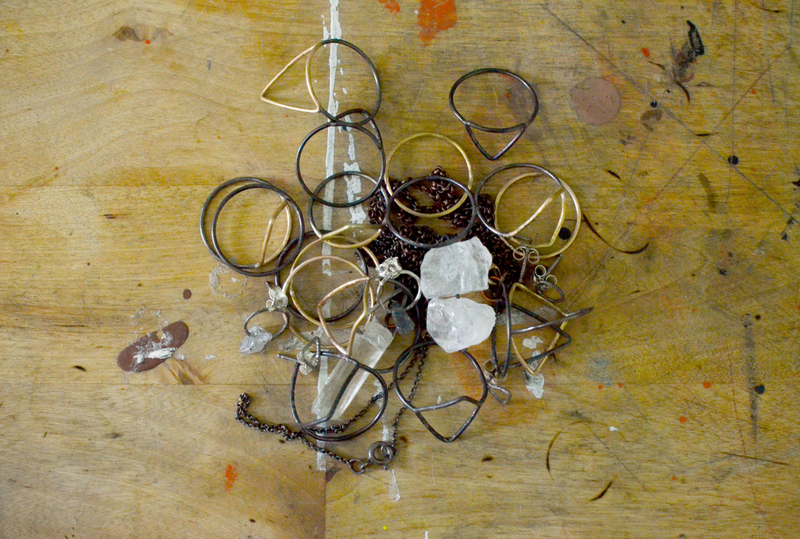 metal & rocks strives to create pieces for those who want to wear jewelry but also want to forget they're wearing it. the matte, oxidized silver comprising the majority of these designs will develop highlights and oxidization patterns unique to its wearer over time. the best way to figure out your ring size is to go into a jewelry store and get sized! however, i have found this website helpful in emergencies. domestic shipping from massachusetts is $5.95. many products are made to order and could take up to two weeks to complete; please contact with requests for expedited processing. please contact us using the below form within one week of receipt to arrange return if you are dissatisfied with your purchase for any reason. aside from circumstances involving errors on the part of metal & rocks, return shipping will be paid by the customer.